A bed that lets you know when your kids get up in the middle of the night and scares away the monsters before sleeptime. Does that sound like the stuff dreams are made of? Well, dream no longer – it’s here. The SleepIQ Kids Bed has been one of the most talked-about offerings at this week’s International Consumer Electronics Show in Las Vegas. The “smartbed” has built-in sensors that track movement, breathing and heart rate and send the data straight back to a “sleep dashboard” via an app. Parents can ask for an alert if their child hops out of bed or is restless in their sleep. 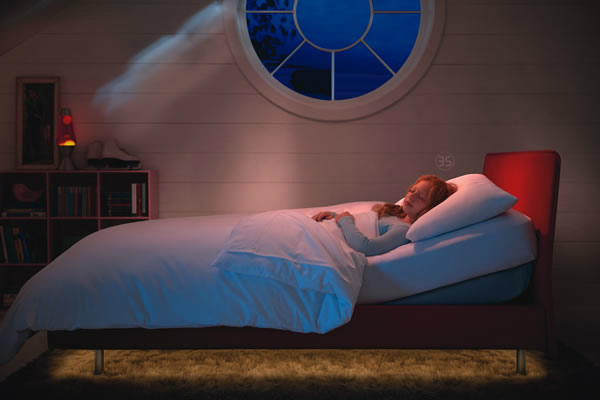 Many kids love a night light to help them doze off, and the SleepIQ has an under-bed glow that can be turned off remotely once they’re asleep. It automatically illuminates again when the child gets out of bed. 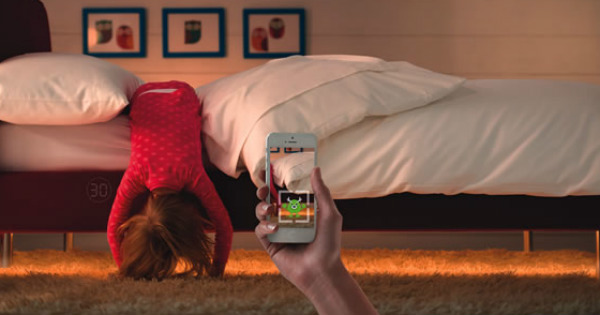 Speaking of things they’ll love, one of the app features is a “monster detector” to banish all those nasty creatures that can make bedtime so scary. It also has a reward sticker system to help with the pre-bed routine – such as putting on PJs, brushing teeth and settling down for the night. It also aims to help figure out how diet, exercise, screen time and other activities affect a child’s sleep by providing a nightly SleepIQ score. Older children will no doubt be excited to check the dashboard to find out how well they slept the previous night. Maker Sleep Number – which already sells adult smartbeds – says SleepIQ for Kids adjusts to children’s needs as they grow. The comfort level can be adjusted by inflating and deflating air chambers inside the mattress. The bed head can also be tilted for reading or to help clear stuffy noses. The beds will be available as twin, double or queen sizes later this year and are expected to retail for US$1000. I’m not sure how I feel about the concept of a know-it-all bed – but it may give peace of mind for those who want it (and at the very least, a swift end to the seemingly endless array of bedtime excuses!). Would you buy a bed like this? Tell us below.